It's been I while since I last updated, everything's getting pretty hectic with university apps just weeks aways. None the less, I can't let stress get the best of me. 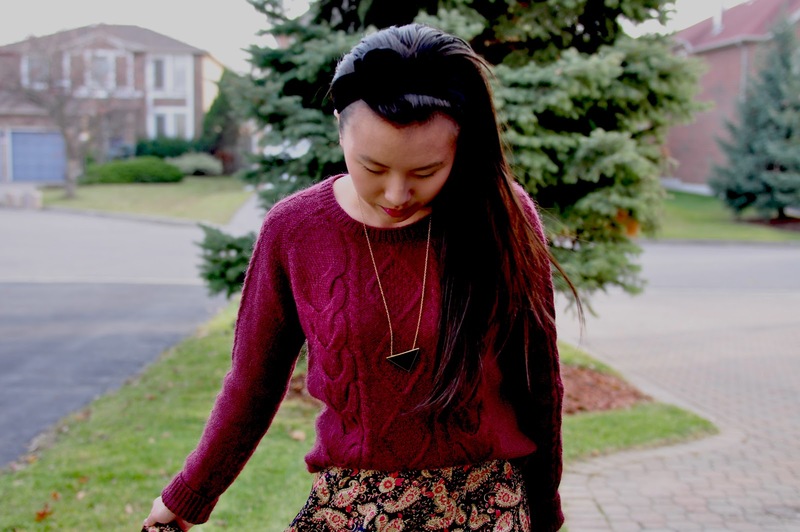 Here's a monochromatic outfit of the day, with the colour of the season maroon/oxblood (of course!). 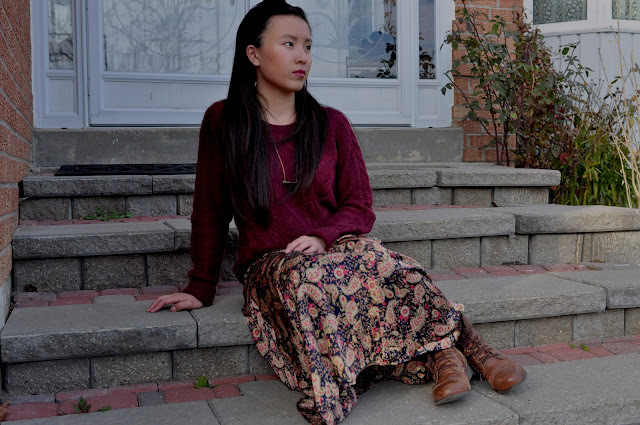 I wore a basic loose cable-knit sweater, my go-to item during the colder months. Plus, this particular one was a total steal from H&M and I've worn it to death since fall. On the bottom, I have on a vintage-inspired paisley skirt with a mix of beautiful colours. In order to define my waistline, I tucked in the front portion of my sweater to give a little shape. 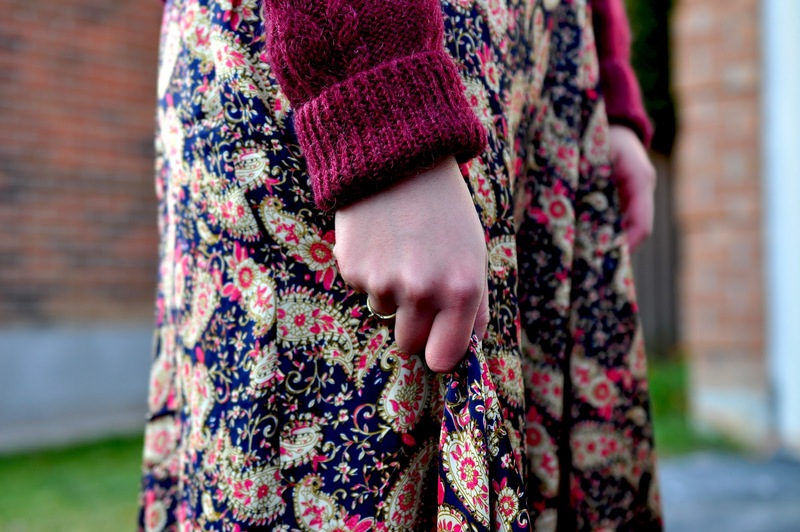 The colour of the knit compliments and brings out the detailed red hues in the skirt. As for accessories, I doubled up on the triangles. Going with my black enamel Brandy Melville necklace and a dainty ring. Then for shoes, my well loved brown leather combats (super comfortable). They were definitely my buy of the season. It's time for me to get to school now, wish you all a wonderful start to your week!